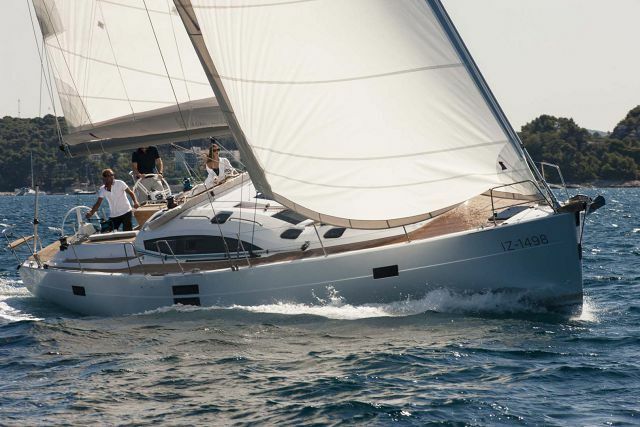 The new Elan Yachts E5 represents a new direction for Elan Yachts featuring the breath taking design and exciting features such as hard chines, twin rudders and twin wheels with Jeffa steering, state of the art deck equipment positioned for easy short-handed sailing, integrated toerail, flush deck hatches and an optional swim platform just above the waterline, lifting cockpit table and gangway. 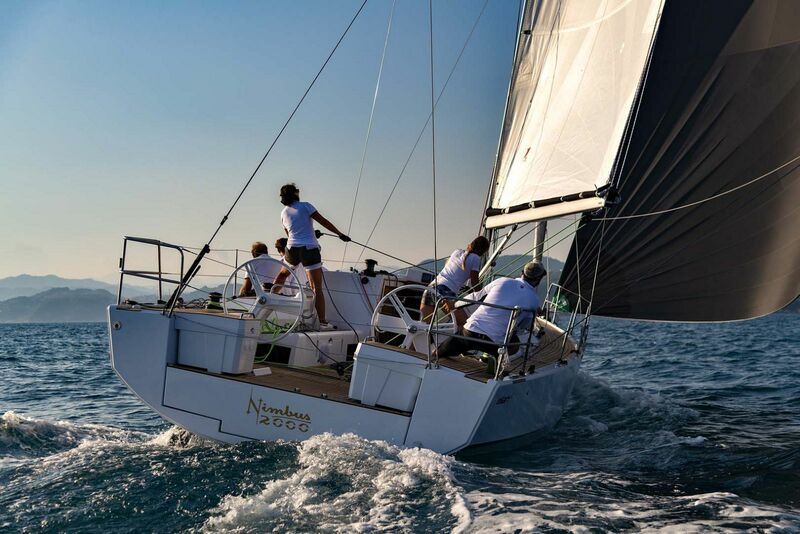 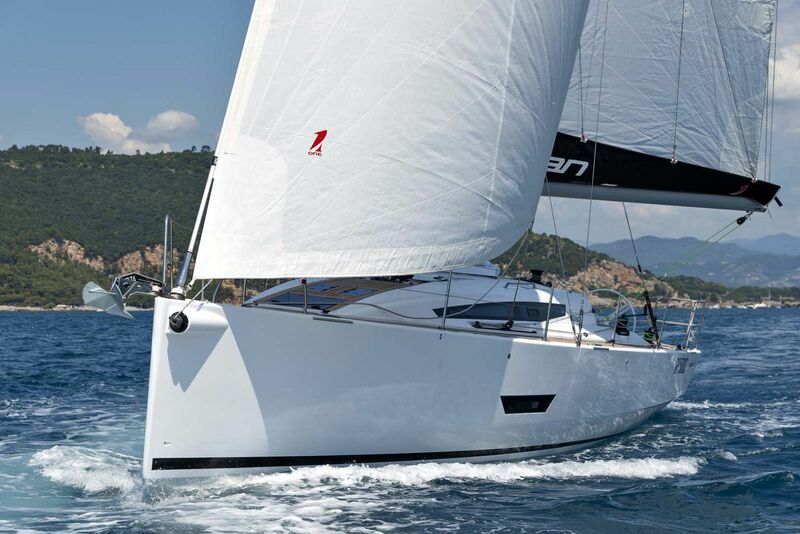 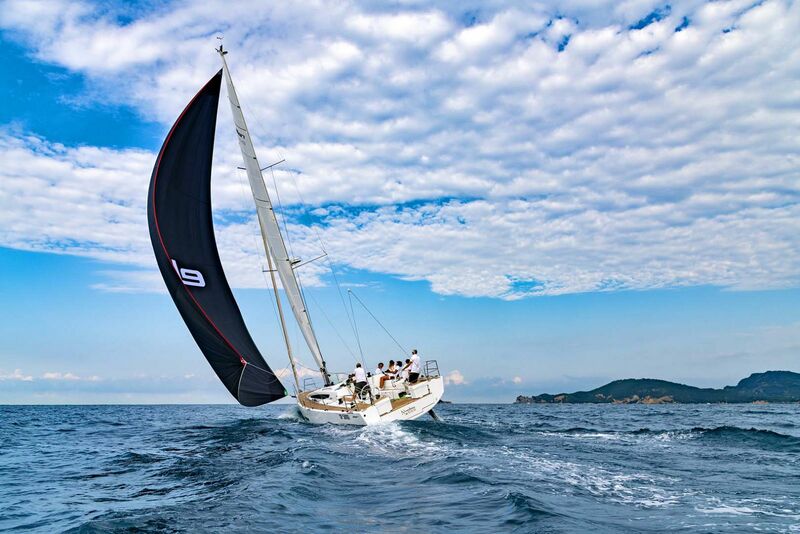 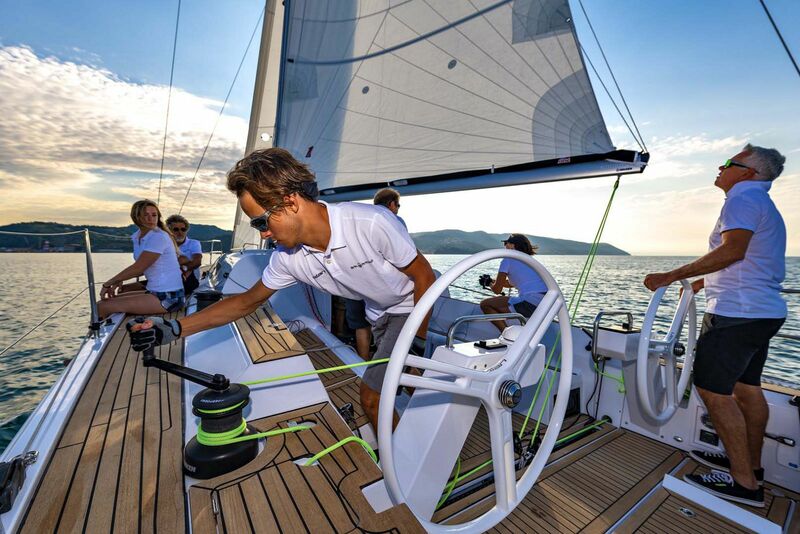 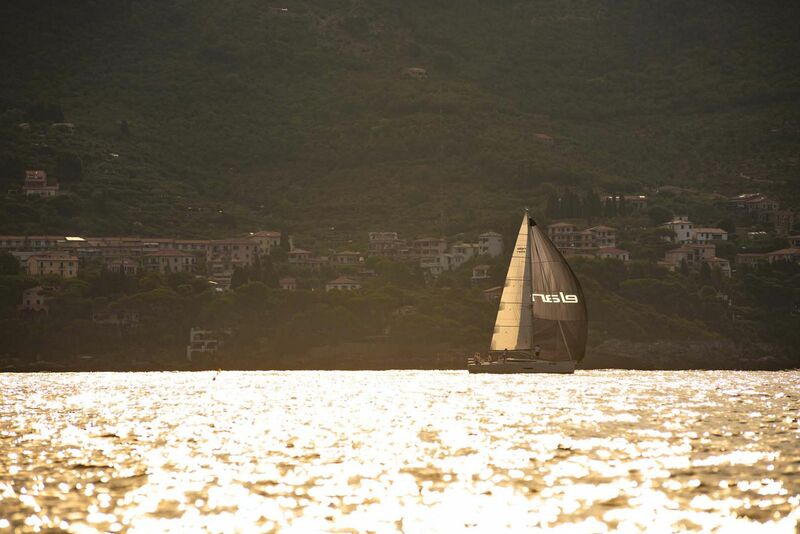 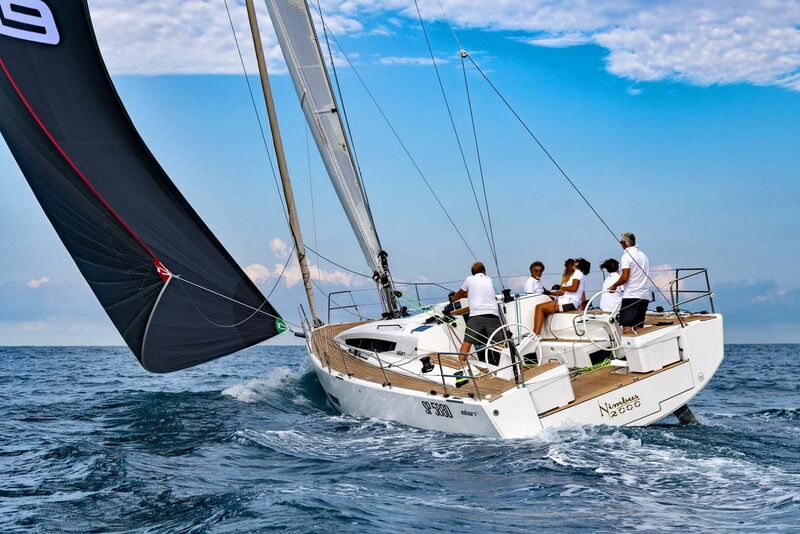 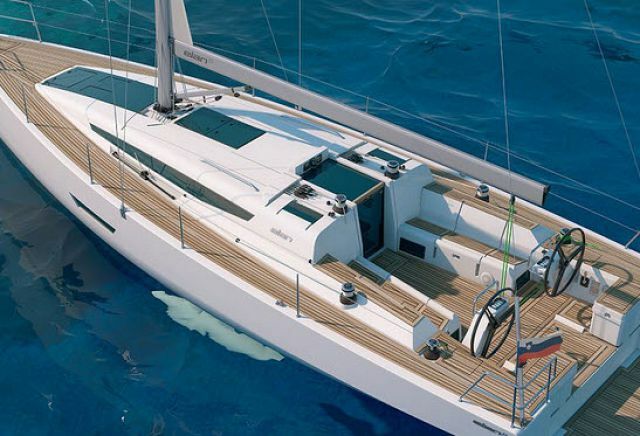 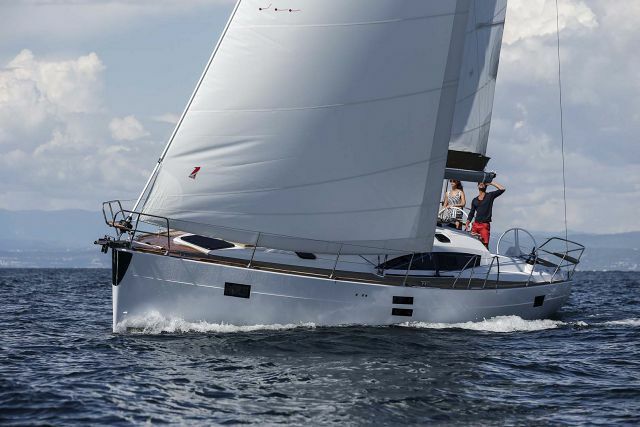 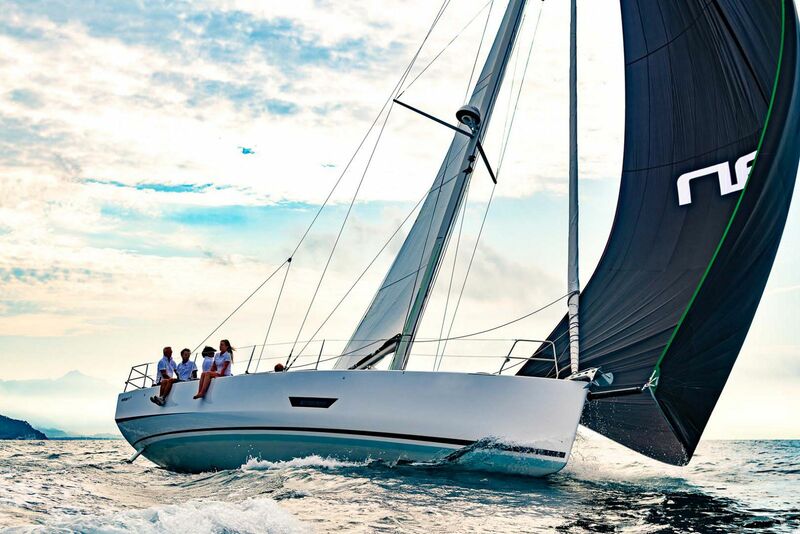 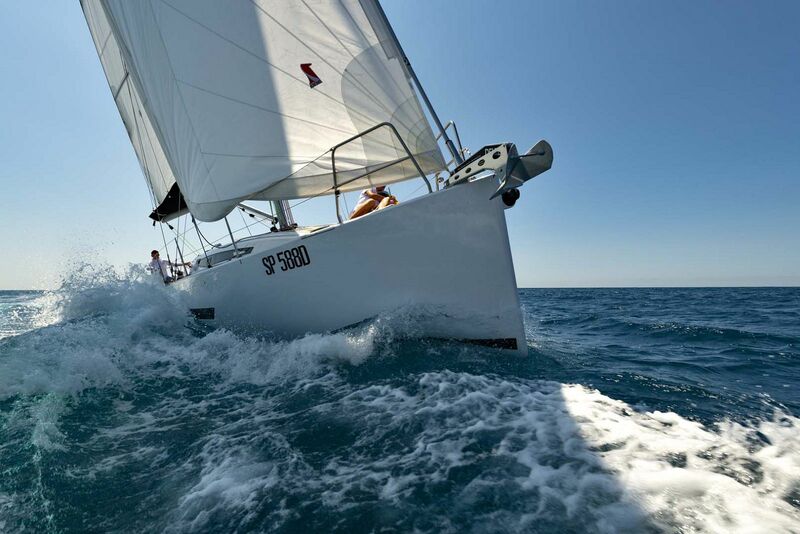 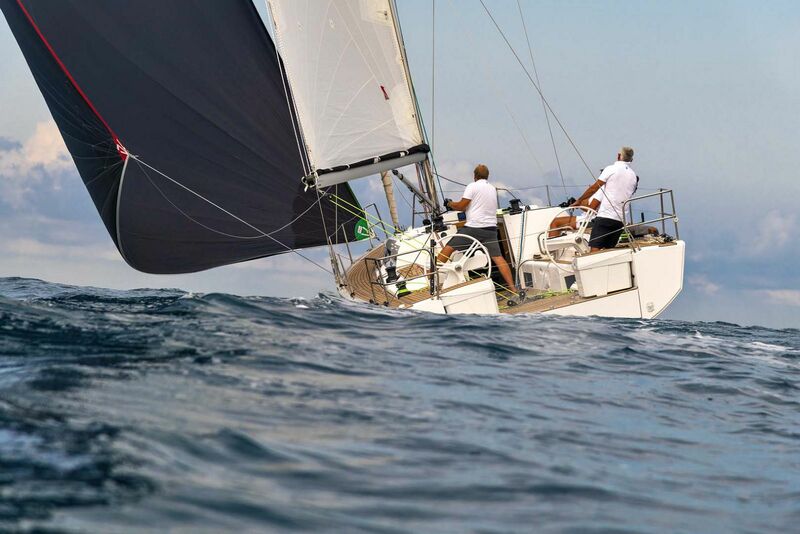 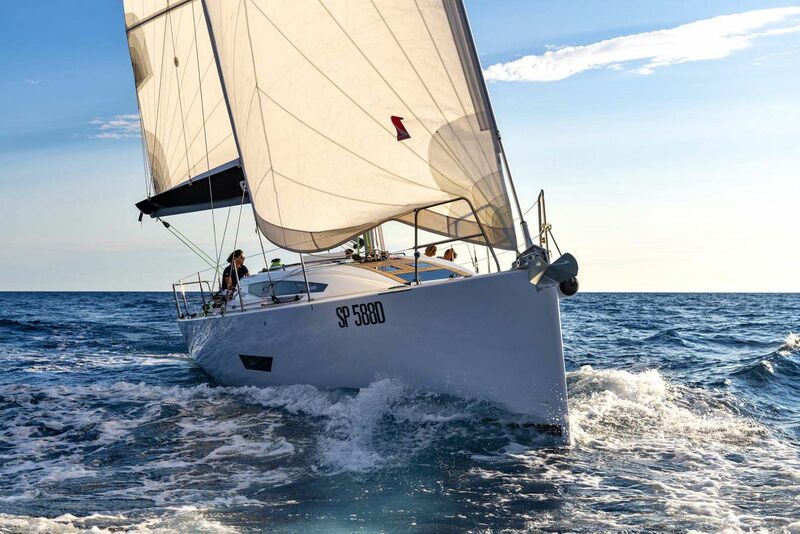 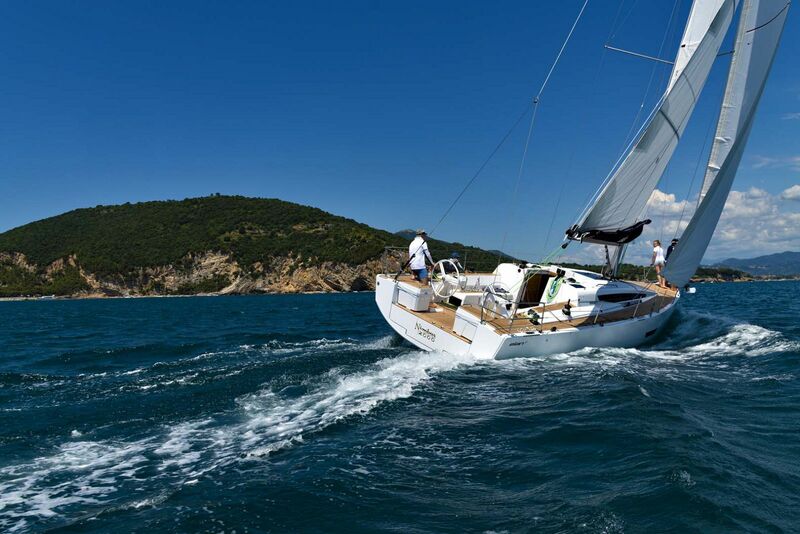 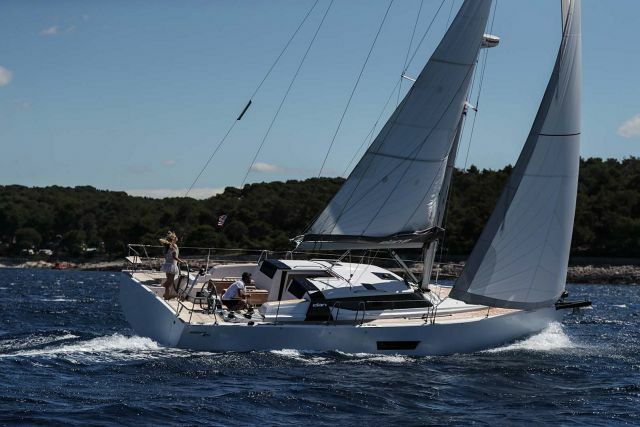 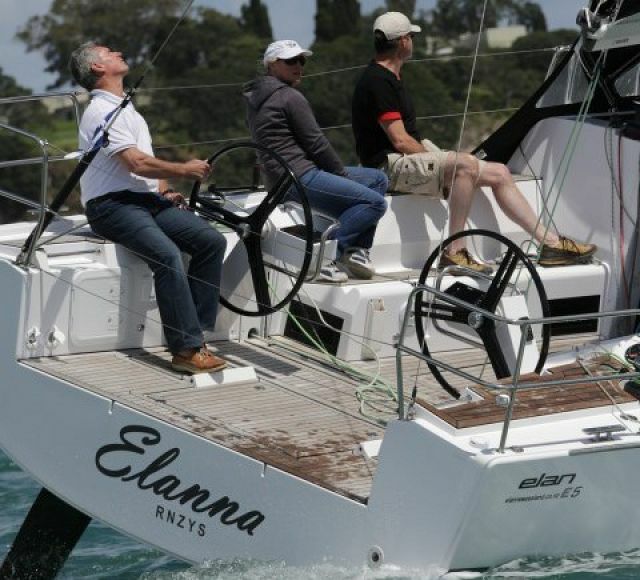 As some of the most competitive sailing yachts available for the recreational market today, the Elan E5 benefits from the "Humphreys Yacht Design" which was used in the Volvo Ocean Race 70 designs. 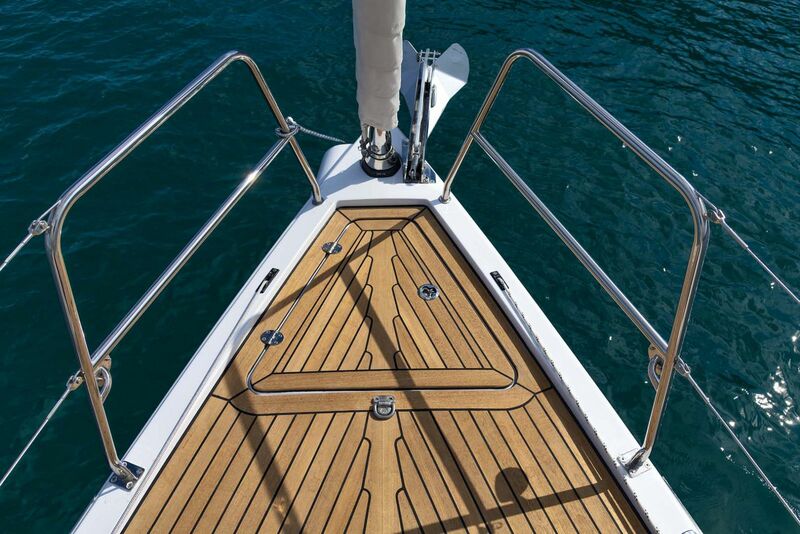 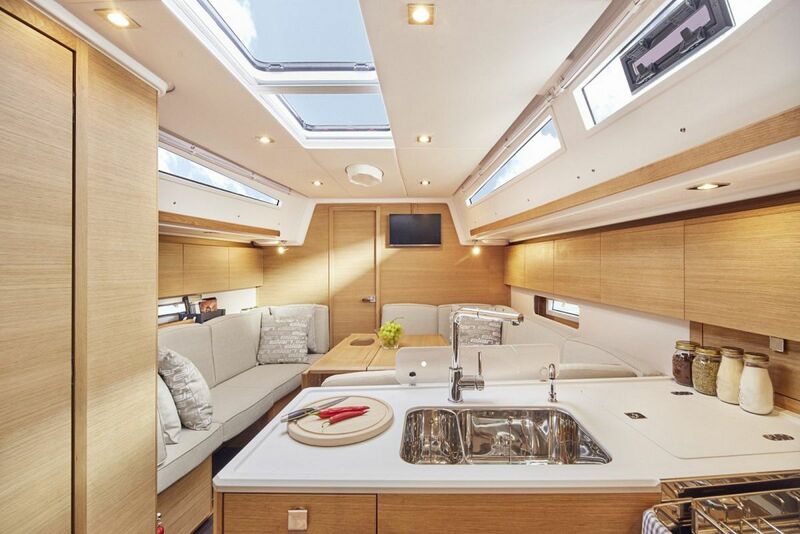 The E5 is a perfect blend of serious, regatta-winning performance with a comfortable, elegant interior layout and execution that any private owner will enjoy. 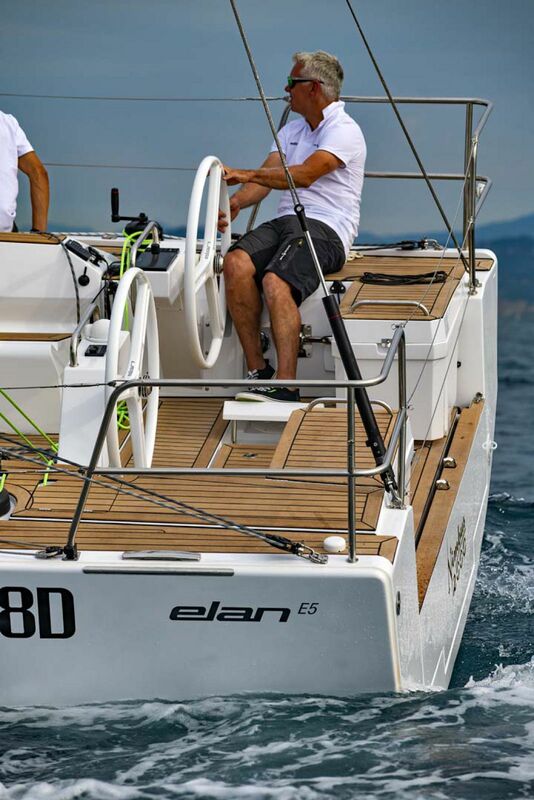 Because the Elan factory included a multitude of performance-enhancing options on the E5, it is capable of being sailed when shorthanded. 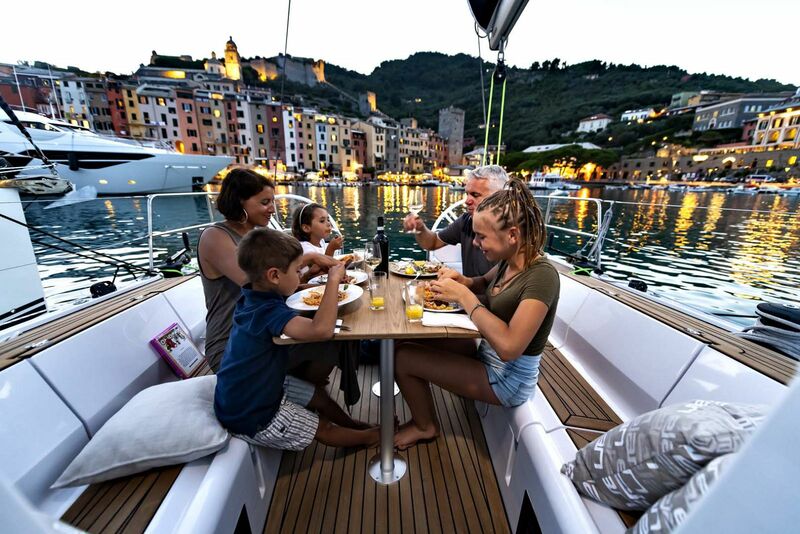 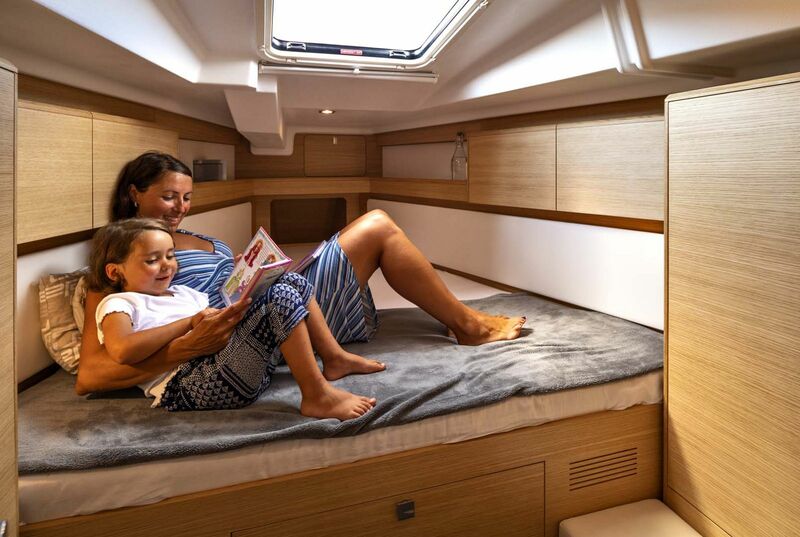 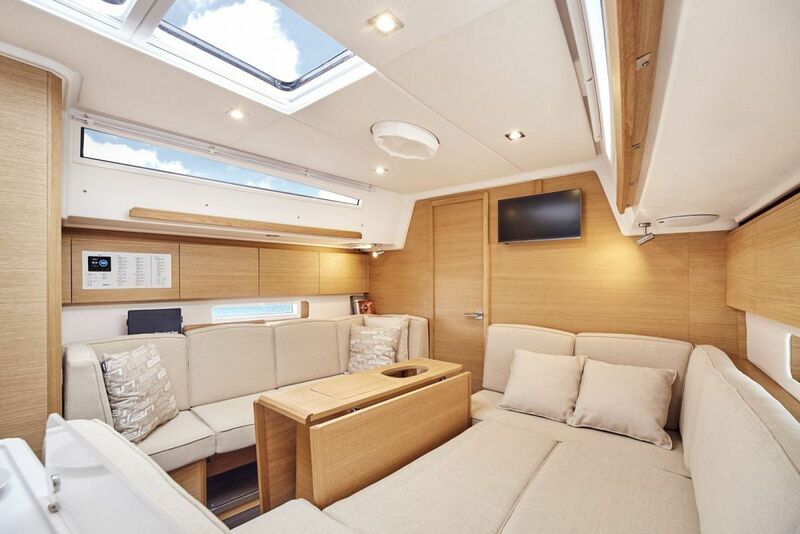 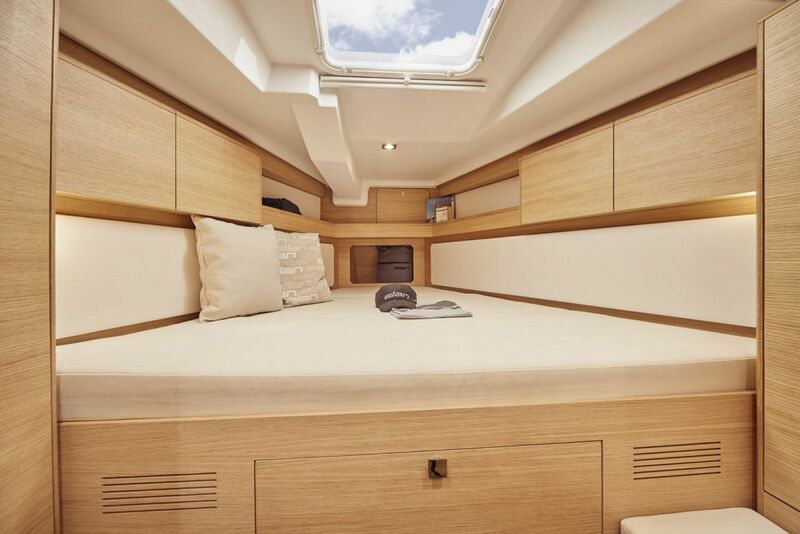 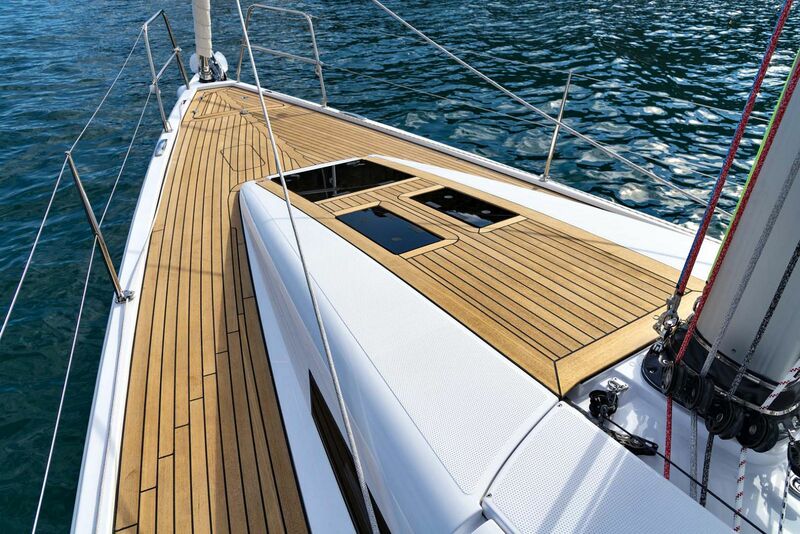 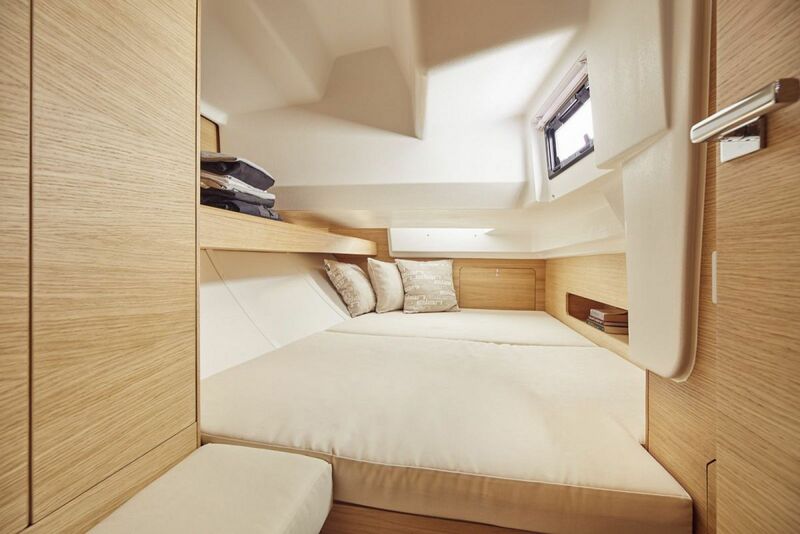 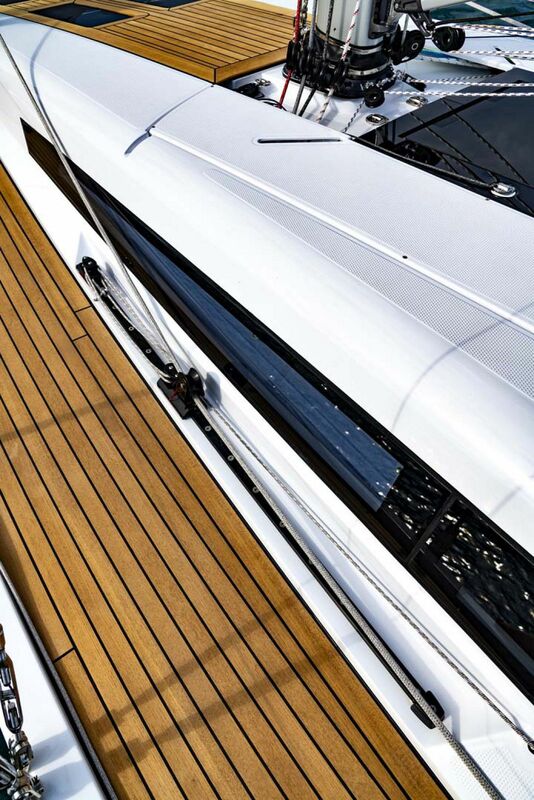 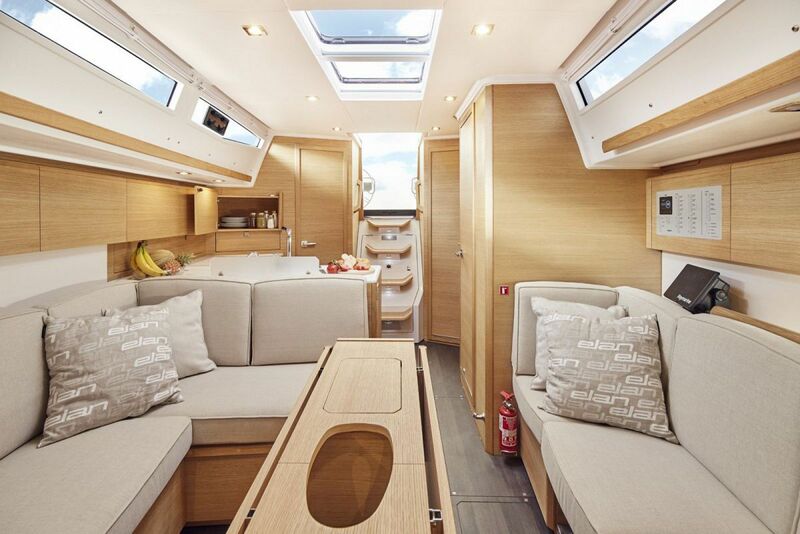 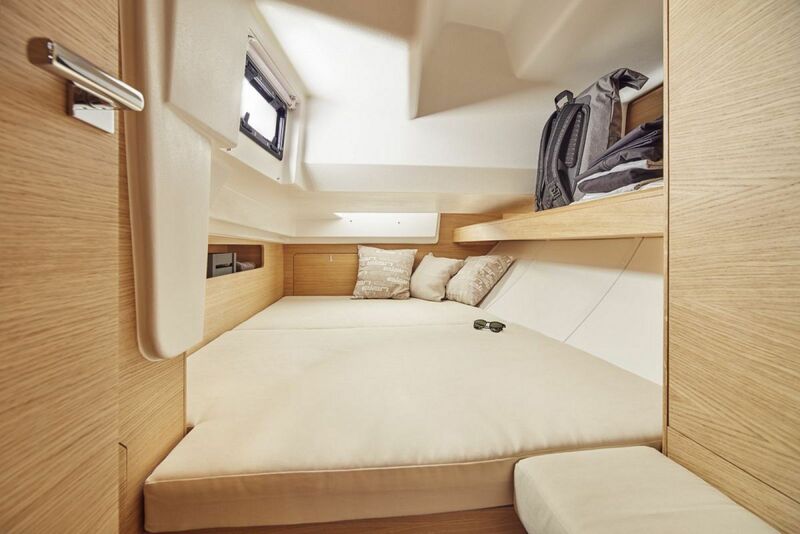 Below deck the new Elan E5 offers a three-cabin layout with the option of having one or two heads. 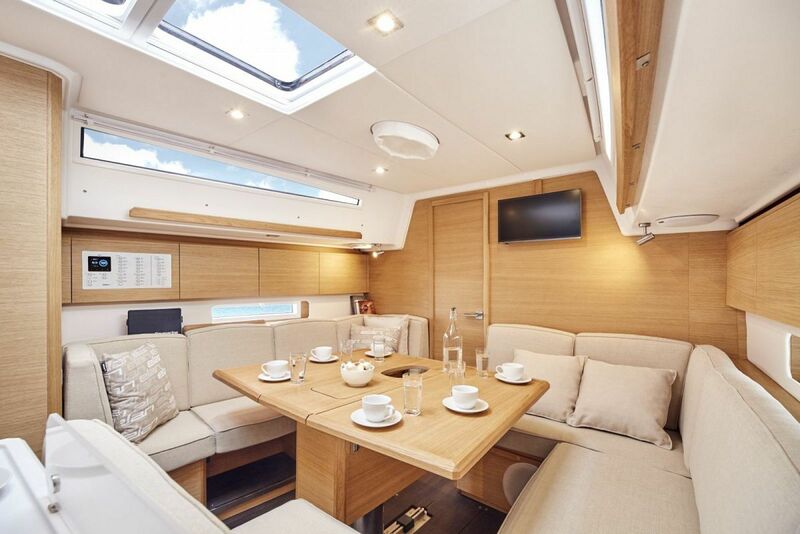 The salon features a spacious and modern design with an innovative flip-up navigation table transforming into a settee or a berth. 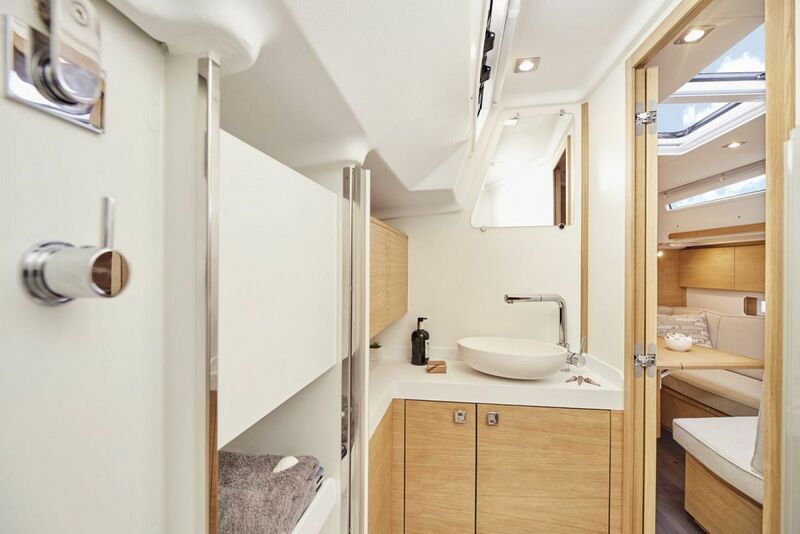 Cabins are light and airy with three portlights in stern cabins. 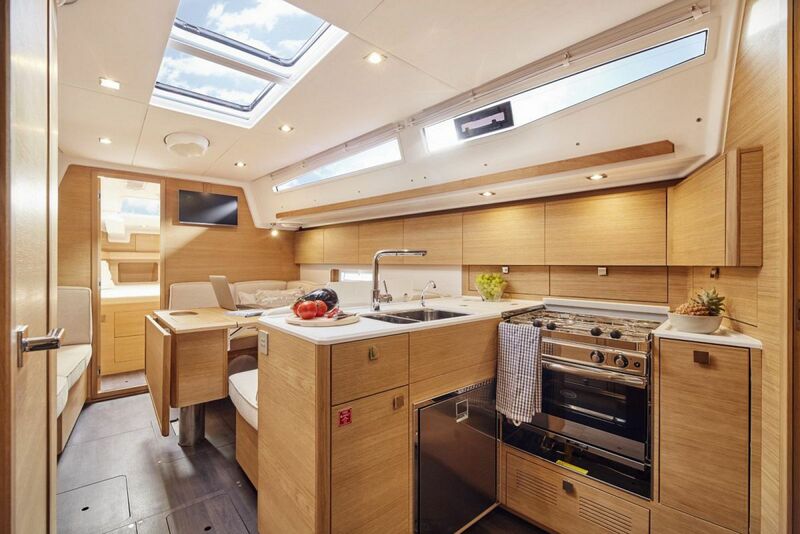 Elan E5 offers a carefully designed interior with plenty of natural light as well as optional ambient LED strips. 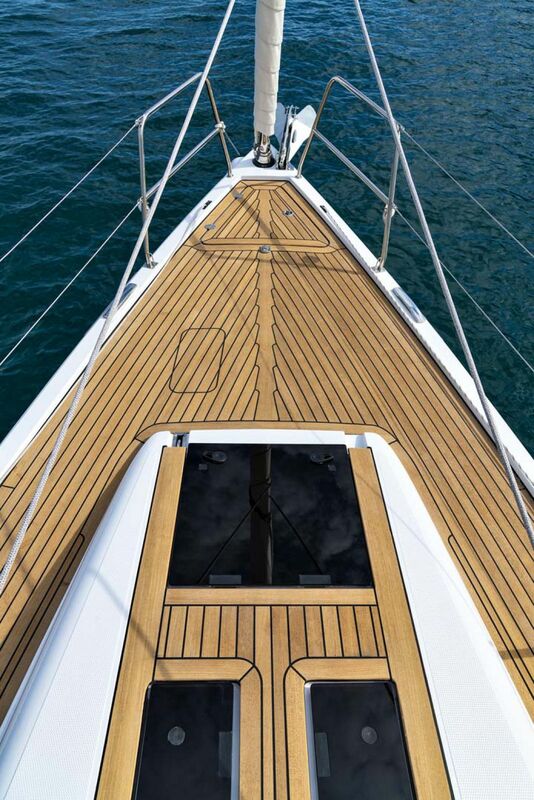 There are several different options of furniture wood including the new Walnut. 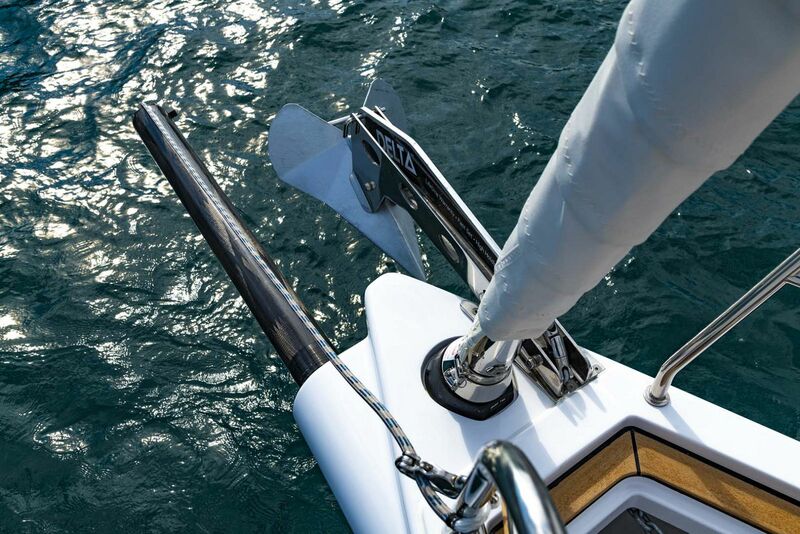 On deck of the Elan E5, it is noticeable how Elanthe factory preserved some of its performance genes from racing, as evidenced by the fixed bowsprit, which not only makes a good attachment spot for a gennaker but also doubles as an anchor holder. 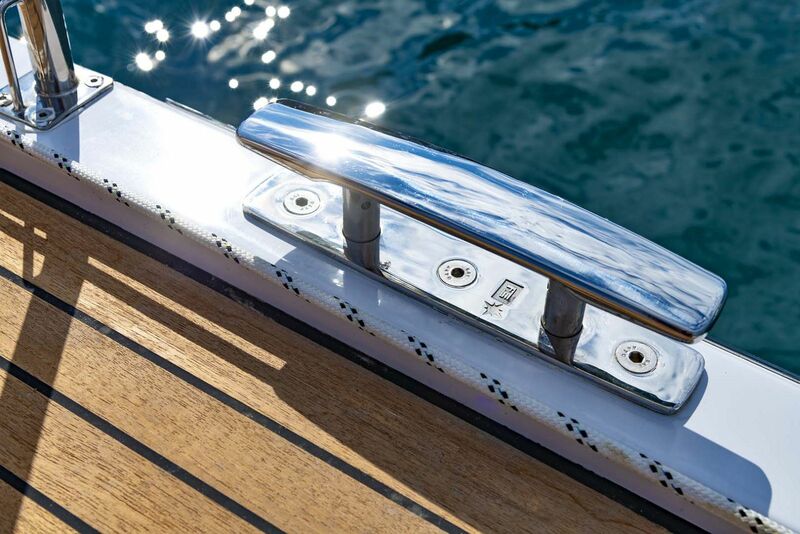 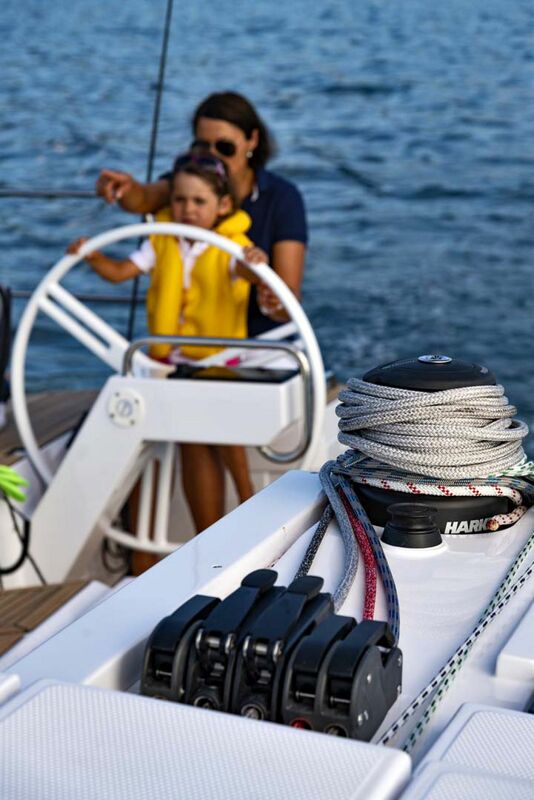 Halyards and control lines are properly organized and led aft in tunnels, which further adds to the clean look of the boat. 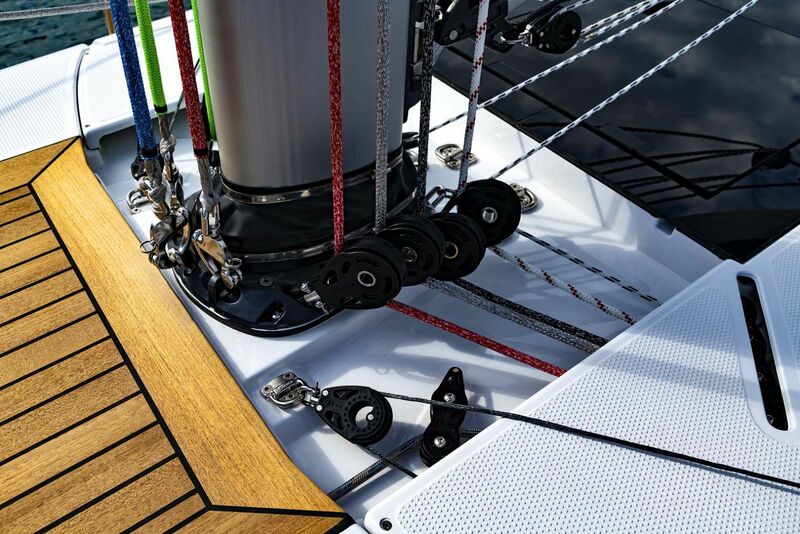 Lines run all the way aft to both steering stations in the cockpit that was designed to keep the work area aft separated from the lounge area forward. 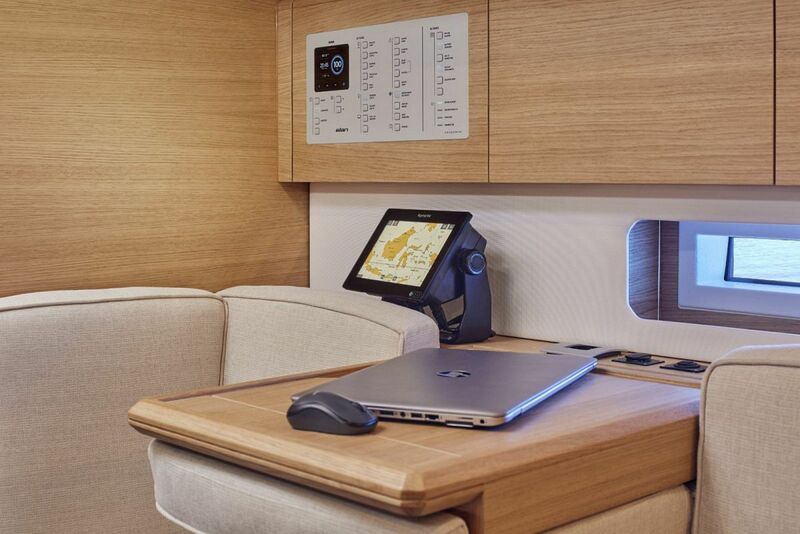 In the lounge, there are two cockpit tables, with outer table halves that fold or slide down, extending the seats to comfortable sun pads. 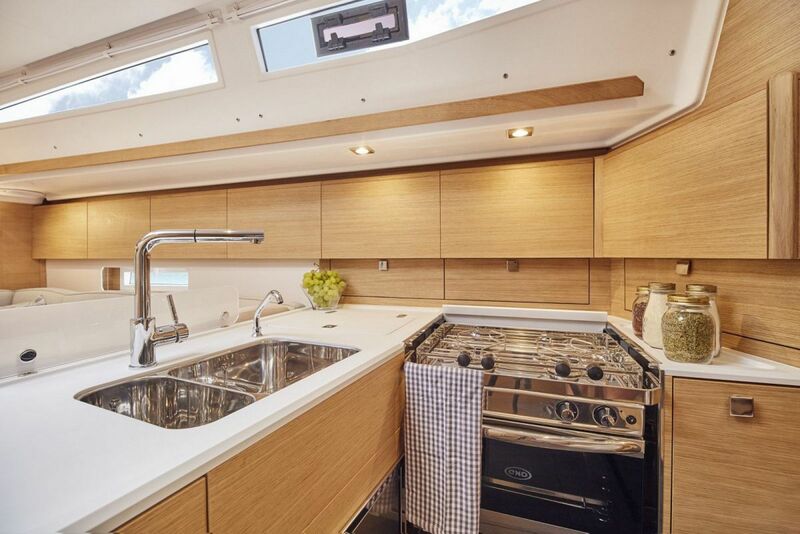 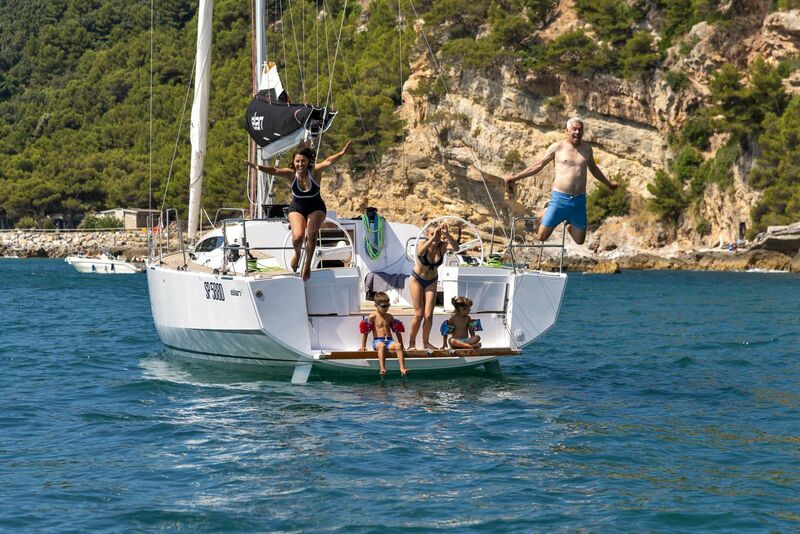 Of course, there is also a fold-down platform at the stern, which is offered in two sizes. 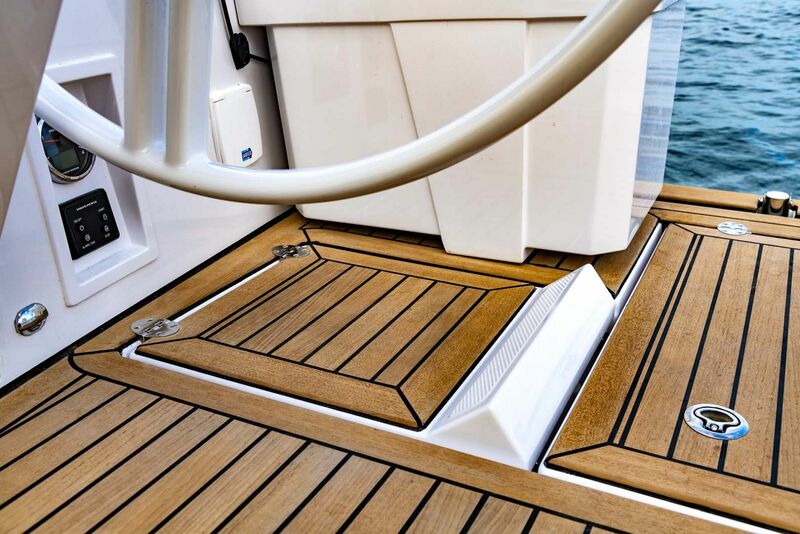 But both form a sort of swim dock as they can be lowered to sit right on the water’s surface, which is great for swimming and entertaining children. 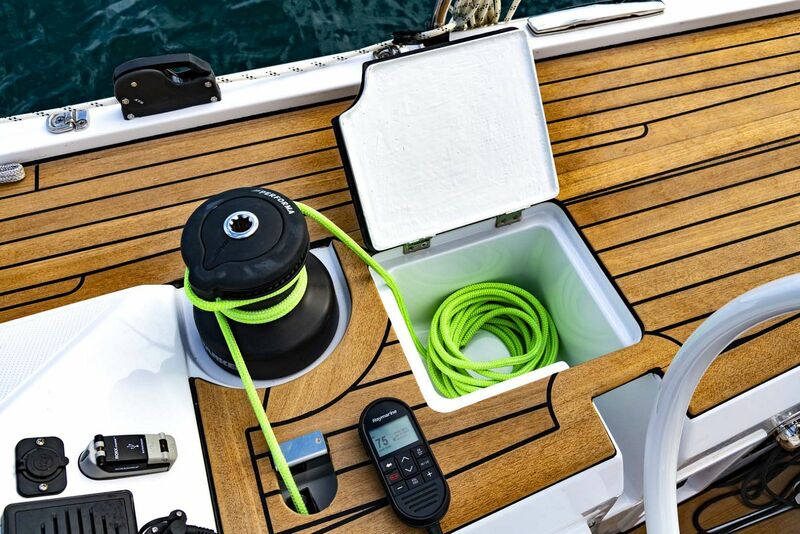 Behind the two steering stations there are two cockpit boxes that serve as seats and storage space, but as an option, can be equipped with a barbecue and a sink. 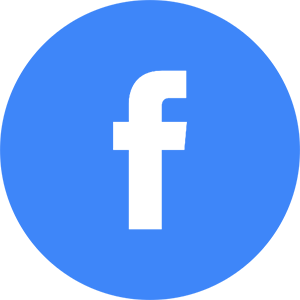 Water Tank Capacity: 73 Gal.